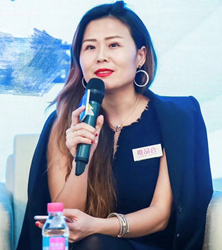 “The economic power of the Chinese middle class and its demand for authentic branded goods, coupled with the explosion of our e-commerce opportunities in China, has set the stage for dramatic growth for U.S. companies in Chinese consumer sales,” said Hillary Wang, Head of Global Buying for VIP.com. VIP.com, the third largest and fastest growing e-commerce platform in China, this month launches an aggressive campaign in the U.S. to offer prestigious fashion, beauty, home goods and sporting brands online to a shopper base of more than 300 million Chinese consumers. With its NYSE-listed parent company, VIPShop (NYSE: VIPS), recently securing an equity stake from the owners of WeChat, a leading social media platform in China akin to FaceBook, VIP.com will provide brands access to potentially 1-billion active users monthly. The company forecasts tripling its current sales of U.S. goods into China from $2.2 billion in 2017 to over $6 billion by 2020. Increasing urbanization and a burgeoning middle class have helped to drive China’s annual GDP, which reached 6.9% for all of 2017, exceeding $12-trillion, or roughly two thirds of that of the U.S. China’s middle class is expected to expand from 430 million today to 780 million in the mid-2020s. Millennial Consumer. Overall, Chinese consumer sales are increasing at around 10 percent per year and in 2017 totalled $5.7 trillion. Looking forward, customers 35 and younger will make up 65% of China’s consumption growth through 2020, according to the Boston Consulting Group. Social Media as Retail Engine. The e-commerce potential of the Chinese markets starts with the size of its online population, over 700 million Internet users, or one-half of the population. Chinese customers also have a greater appetite than those in other markets to use social media to see what brands or products celebrities are endorsing: 29% of Chinese consumers, as compared to 13% globally, do so, according to a PwC report. “VIP.com’s online shopping platform is dominated by female buyers, with 80% of purchases being made by women,” Wang added. Having brought companies from Europe and Australia to its Chinese e-commerce platform, VIP.com is pursuing its strategy in the U.S. with two key benefits: its curated merchandise offerings, and a tightly-controlled supply chain that prevents counterfeiting and includes shipping and delivery in China. It is already delivering prestigious U.S. fashion brands such as Tory Burch, Juicy Couture, Converse, Under Armour and consumer goods from Proctor and Gamble and Pfizer into the online Chinese marketplace, and is marketing to recognized U.S. headquartered-manufacturers, as well as distributors, seeking secure access to the growing Chinese consumer market. VIP.com’s total net revenue rose 30% in 2017 to $11.2-billion globally.